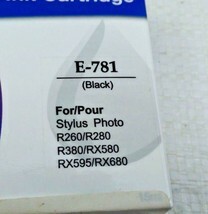 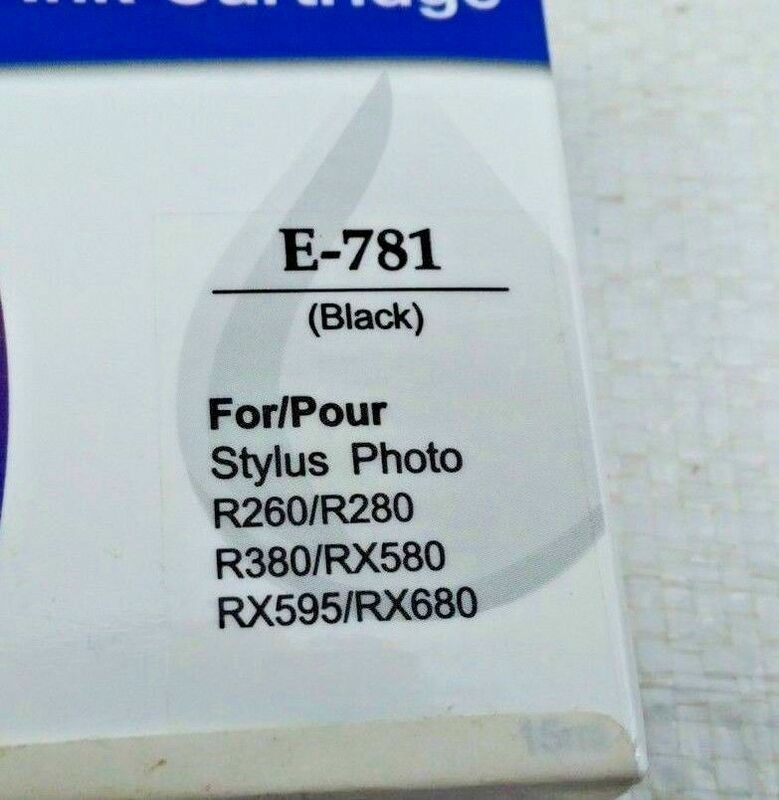 Ink Cartridge Generic Epson Black E-781 For Epson Stylus Printer : R260/R280/R380/RX580/RX595/RX680 I bought a new printer so I do not need these! 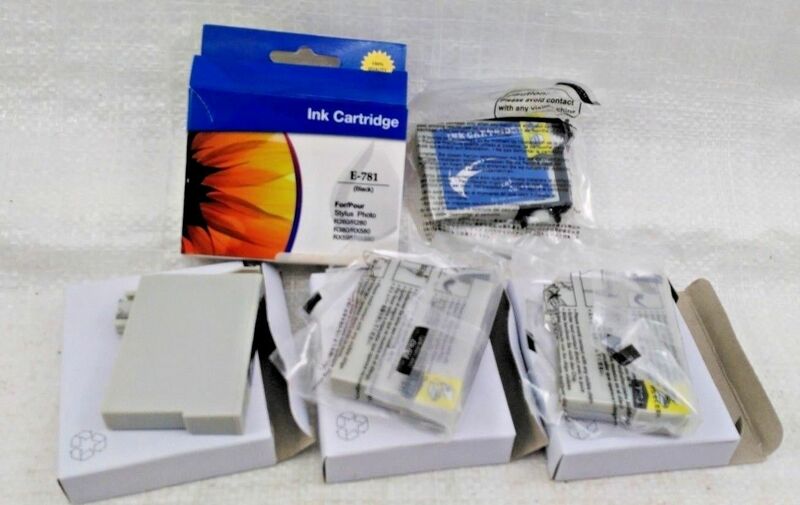 There are 5 cartridges in this lot even though I did not get a picture of one of them. 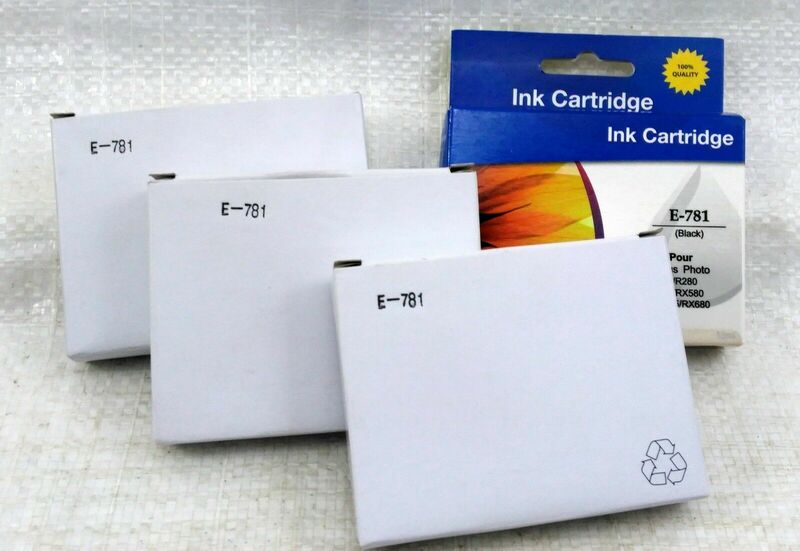 Most of them are still wrapped in their plastic but one of them isn't. 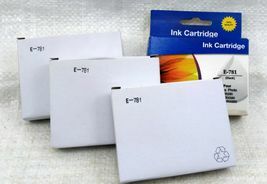 It is a new full cartridge though.